This is something I put together last week after a moment of what shall I have for lunch a couple of days before when I first tried this out. You can put whatever you want with this, it’s pretty much a ‘what needs using up, let’s throw it in the mix’ sort of meal. 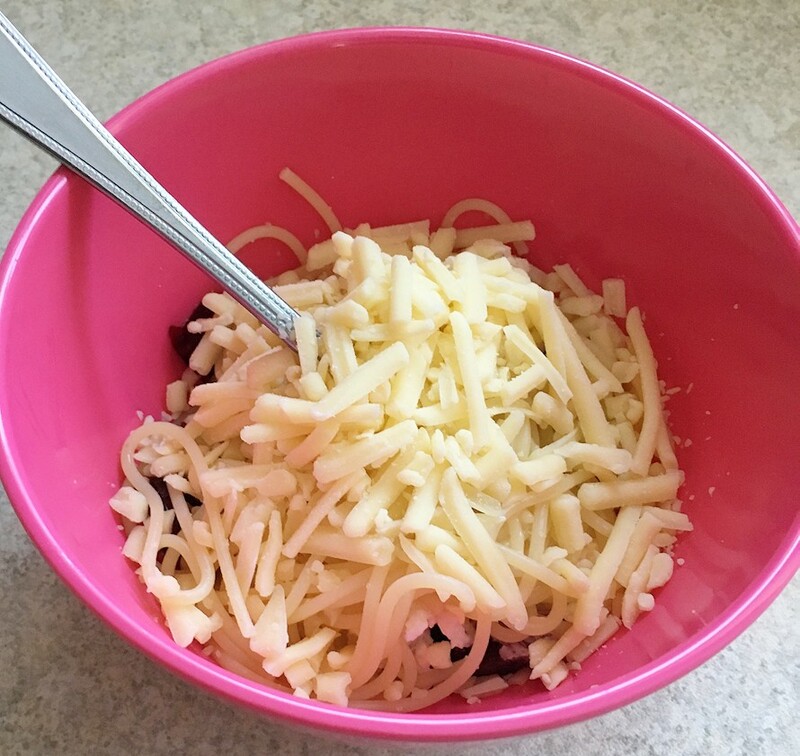 I cooked the pasta in water (with a bit of salt) on the hob then when it was cooked the chopped beetroot was added into the bowl first, then the colslaw/potato salad, I added the pasta on top and then the grated cheese before mixing it together. The first time I tried this it was slightly different, for example I’m pretty sure I just had the colslaw with it instead of the potato salad as well but this time we’d nearly ran out of the colslaw so I ended up having a very small amount of colslaw with potato salad instead. Also I had corned beef with the first lot which we didn’t have this time. This tasted lovely, it’s one of the best pasta meals I’ve ever done in my opinion (it must have been good to have a similar version of it again in such a short space of time). Something like this is probably going to be my go to pasta meal for lunch from now on. What’s your favourite thing to put with pasta? This entry was posted in food on October 1, 2017 by Victoria.